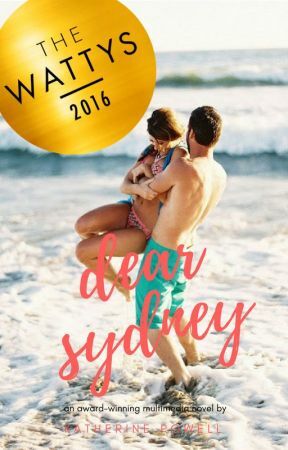 Dear Sydney is now officially available to buy in print form! I am insanely excited about this and hope that you guys are too. So this post is going to let you know exactly how you can buy it, and hopefully answer any other questions you guys may have about the print version! Dear Sydney is available on Amazon.com, Barnesandnoble.com (this one will occur in a week or so), and on the CreateSpace eStore. CreateSpace is the publisher of the book, and if you order it through the eStore, I get the most royalties from the purchase. Amazon.com is where I get the next-most royalties, and Barnesandnoble.com gives me about $0.50 per book. Dear Sydney will become available on Barnesandnoble.com a little later than on the other sites, so it might not be out quite yet, but it will be soon! Not that money matters, but I just thought I would say that, since I&apos;ve been open with you guys through the entire publishing process! The eStore link will be in my bio, on my message board, copy and pasted below, and the external link to this chapter! For people asking if you can order it from different countries, I am about 90% sure that Dear Sydney will be able to be shipped through Amazon Global, and the eStore (link above) should be able to ship internationally. But if you try either or both and it doesn&apos;t work, then please let me know ASAP so I can update the information and not give anyone false hope. But I do know for a fact that it will be available through Amazon Europe (Amazon.co.uk, Amazon.de, Amazon.fr, Amazon.it, Amazon.es, etc.). The price is set at $17.95. I understand that this is a bit on the expensive side, but I was set a minimum price by CreateSpace due to the fact that Dear Sydney totals at just shy of 500 pages and it will cost a good bit to print each copy, so $17.95 is what the final price is! I apologize if this is outside of anyone&apos;s budget. Guys, I cannot thank you enough for getting Dear Sydney to where it is. It hit 1 million reads just a few weeks ago and has gone up since, (hitting 1,100,000 just yesterday!) it has been Featured by Wattpad, won a Watty, and been published in print. You guys are absolutely incredible and none of this would have happened if it weren&apos;t for you guys, whether you&apos;ve been here since 1 read or saw it after it got to 1M reads. I literally cannot express how amazed and grateful I am for how much love I have received due to this book, from all of you. I have poured my heart and soul into Dear Sydney and hope that you guys will be able to tell that if you buy it. Thank you guys so much for being so wonderful about everything, and thank you for being the best readers I could possibly have! Dear Sydney will have a website that will explain everything even more than it is explained on this chapter. It will contain direct links to every place you can buy Dear Sydney online, as well as links to where you can review it! It would be great if some of you would be willing to write an honest review or rating about the book if you have the time, whether it&apos;s on Amazon, Barnes & Noble, Goodreads, or anywhere. (But Amazon would be amazing). The printed version, while very similar to the Wattpad story, has ten brand-new chapters included throughout and has been thoroughly edited and expanded! Due to the fact that the basic plot stays the same, I will be removing Chapter 30 (the last chapter before the Epilogues) from Wattpad today, so that it gives people an incentive to buy the printed version! This is the only chapter that will be removed, and all the Epilogues will remain. I apologize if this is upsetting to anyone, but there has to be something missing on Wattpad if I want the printed version to do well. 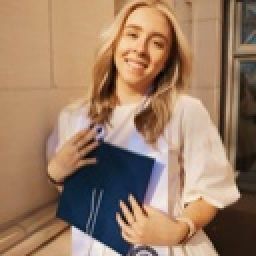 To be kept up-to-date about everything with Dear Sydney  and my other Wattpad books, make sure to "like" the Facebook page "Katherine Powell Books" and follow @ officialkatherinepowell on Instagram. I love to see your fan covers and trailers, and love to see you guys interacting with characters on Twitter as well!